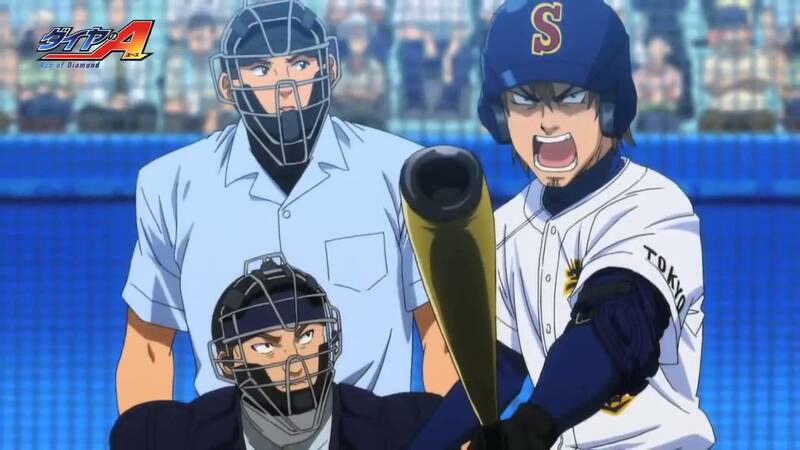 Ace of Diamond anime third season rumor said by Ryota Ohasaka is causing a commotion among the fans. If you have not seen ace of diamond yet I’ll give you a brief summary. The story follows Eijun Sawamura. A pitcher that lost his final game in middle school. However, his determination does not waver. A scout from Tokyo invites him to a prestigious school. The story starts in Eijuns new school Seido High School. In the school, he trains hard. And battles many other talented players for the starting position. Claiming that he will one day be the ace of the team. Their team strides towards being the top and so faces many dangerous foes. The voice actor for the main character has announced the third season. This has not yet been officially confirmed by the production. However, a rumor from one of the voice actors is more than enough reason to cause hype. Ryota Ohasaka announced this rumor during a Sunday concert. Although, he has not stated any clear time. And so we can’t clearly expect when they are planning to release it. Could be 2019. I think we are all pretty excited to see the new season. I personally enjoy sports anime and I am always hyped to see some new ones. Besides Ace of Diamond, I have seen Hajime no Ippo, KnB, and Haikyuu. And I gotta say all of those thrilled me. Don’t really understand why there is so much hate around sports anime. It has a nice relaxing vibe and the story does seem a bit similar in all of them. But they still bait you to watch. Especially when the MCS are as thrilling as they know to be. I mean, who does not enjoy watching a weak MC with potential turn strong. Just like in Hajime no Ippo. If you have anything to add regarding sports anime I’ll be waiting for you in the comments.